It is important to change the basic wireless security settings on your router to establish a unique and secure Wi-Fi. This includes setting your Wi-Fi name (SSID), setting up a password, selecting the type of security mode, and adjusting the wireless channel. 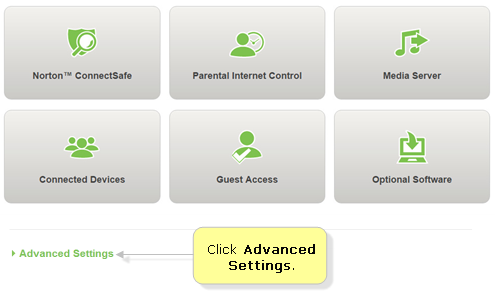 This article will help you access and change the wireless settings of your Belkin router through the Dashboard. NOTE: If you are using the classic web-based setup page, click here instead. Open a web browser like Mozilla Firefox®. Type "http://router" or the default IP address "192.168.2.1" in the Address bar then press [Enter] to access the Belkin Dashboard. For instructions on how to check your router's IP address, click here. NOTE: If you are asked for an administrator password but forgot what it is, you need to reset the router to factory defaults. For instructions, click here. To update your router's password using the Belkin Dashboard, click here. NOTE: The Belkin F9K1119 is used as an example on the steps below. Check the top left corner of your Dashboard and click on the icon to edit your wireless settings. Enter your desired Network Name and Password for both 2.4 and 5 GHz bands. NOTE: Click the drop-down arrow beside to see more configuration options for your wireless settings. Scroll down to the middle part of the Dashboard and click Advanced Settings. Under the WiFi section, click Wireless Settings. Scroll down to the bottom part of the Dashboard and click on . Under the Wireless section, click on any of the green links.